What can we expect from the Paladin class during Hearthstone’s Rise of Shadows expansion? Someone tell Brian Kibler his Dragon Army has arrived. Blizzard recently revealed a host of cards coming with Hearthstone’s Rise of Shadows expansion, including a variety of cards for the Paladin class. So how exactly does Paladin seem to be shaping up as we head into the new expansion? If you’re a Paladin player and you like Dragons, then your future seems bright indeed. Many of the cards revealed so far for Paladin in Rise of Shadows are either Dragons or have a Dragon-type associated effect. In order to understand where Paladins focus will be when it gains a ton of new winged allies, we have to understand what the class is losing. Over the past year, Even and Odd Paladin have both absolutely dominated Hearthstone. The Odd and Even archetypes introduced by Baku the Mooneater and Genn Greymane created some of the strongest decks to ever be played in standard Hearthstone. Both Genn and Baku reward players by granting a better version of their hero power for following a specific deck-building format. Baku only allows players to use Odd cards and Genn only allows players to use even cards. 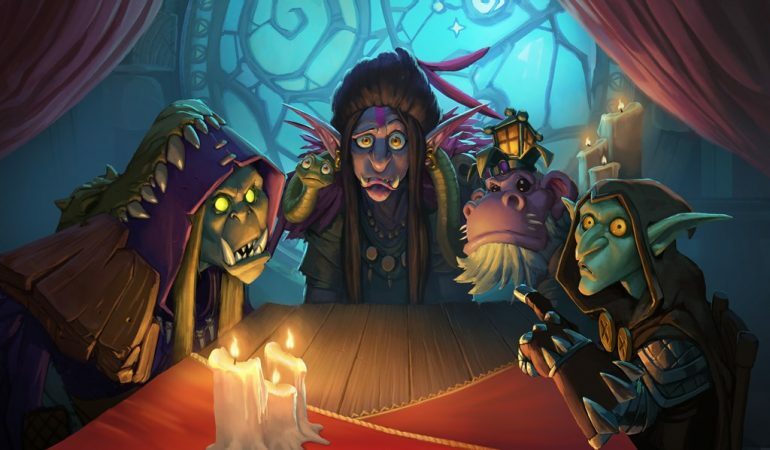 The decks created by Genn and Baku were so powerful that the Hearthstone development team has decided to remove them from Standard play early by adding them to the hall of fame. Paladin will also be losing its Deathknight card, Uther of the Ebonblade. This means One Turn Kill Paladin, arguably the most successful deck for the class outside of the Odd and Even archetype, will also no longer be available for play. Something that will be available for play in Paladin for standard, though, is Dragons. Much to the community’s surprise, many of the more powerful Paladin cards to be revealed so far are either Dragons or include Dragon support text. It seems to be clear that Blizzard is planning on ramping up the class for a return to its former dragon-riding glory from Hearthstone days of old. Dragon and Priest are both classes that have had successful Dragon decks in the past, and it seems like Paladin looks to do the same in the future. 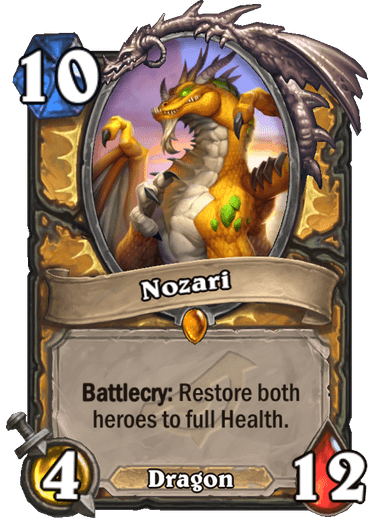 One of the new Paladin legendaries coming to the game with Rise of Shadows is a 10-mana cost Dragon named Nozari. This super-sized mythical beast has four Attack and 12 Health, but its Battlecry is what actually makes it so interesting. When Nozari enters the field, both players will be restored to full health. This is a strange Battlecry, to say the least, but Blizzard definitely has something up its sleeve with regard to the archetype. Further Dragon Paladin support will be coming alongside Nozari in the form of Dragon Speaker. This card is a five-mana minion with three Attack and five Health, as well as a Battlecry that gives all Dragons in your hand +3/+3. 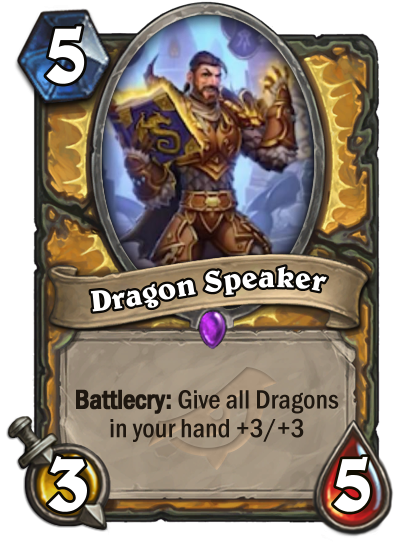 Dragon Speaker was announced alongside Bronze Herald, a three-mana 3/2 Dragon for the Paladin class with a Deathrattle. After Bonze Herald dies, you get to add two 4/4 Dragons to your hand. Blizzard is clearly setting Paladin up to run a Dragon-related deck, but this may not be the only classic Paladin archetype we see returning with Rise of Shadows. Although it hasn’t seen as much support as Dragon Paladin just yet, Secret Paladin is also bringing a new legendary to the table. 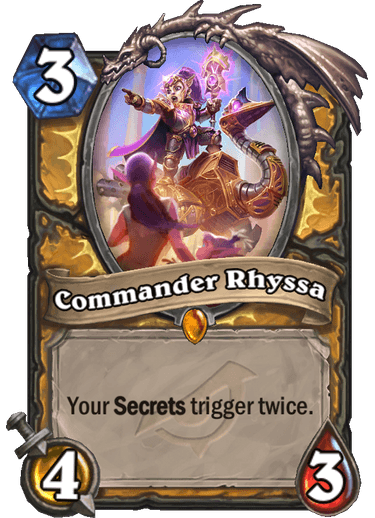 Commander Rhyssa is a three-mana 4/3 that causes your Secrets to trigger twice. This will be a very interesting addition to whatever the new version of Secret Paladin eventually becomes. After having such a stellar year with the success of Odd and Even Paladin, some players may be worried about where they’ll stand in the upcoming meta. Based on the new ideas Blizzard seems to have for the class, it looks like, at the very least, the new Paladin decks might be fun. You can find out for yourself when Rise of Shadows launches on April 9.